Huawei T17.0 MediaPad is a product of the Chinese multinational company, which was founded on 1987 by Ren Zhengfei and built its headquarters at Shenzhen, Guangdong. Huawei however, is not left out in this, they are known for producing a different range of phone that has a good feel at hand and looks attractive to the eyes be it in feature phone or tablet. Huawei Honor T1 7.0 tablet was launched in March 2015. This tablet is one of the best Tablet phones that Huawei has ever produced featuring an eye-catching design and great Trending specifications in the mobile market. 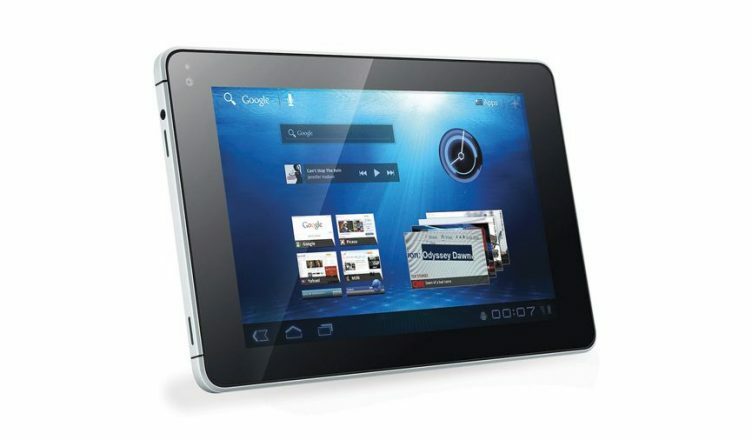 Huawei Honor T1 7.0 is the first Android to feature the Android 3.2 Honeycomb tablet. This 7.0 inches tablet device is a well designed Android tablet with excellent build quality it features great specification and finely designed with a light metal unibody with a silver like back cover and a curvilinear round edge. 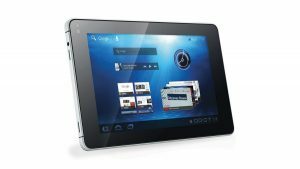 Huawei Honor T1 7.0 is a curve designed tablet with metal body giving it a premium look. Tablets has been known average design but this Huawei Honor T1 7.0 comes with design above the average design of tablet featuring a 7.0-inch display screen with a resolution of 600 x 1024 pixels resulting to 170 ppi and 191.8 x 107 x 8.5 mm dimensions making it feel pleasant in the hand even with its size, and attractive to the eyes making it fit right into the body and not looking out of place. 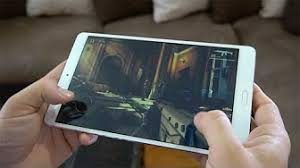 This smartphone is just the best phone for big screen lovers working as a tablet as well as a mobile phone, weighing 278g light enough to hold for a long period of time and not feel burdened, just as light as an eyelid. Huawei Honor T1 7.0 is a slightly Curved device with IPS LCD capacitive touchscreen type featuring a resolution of 600 x 1024 pixels resulting in a pixel density of 170 ppi . This smart device measures 191.8 x 107 x 8.5 mm, and display colour up to 16 million which gives the device a colourful and bright display. First encounter with an Huawei Honor T1 7.0 camera i will say it’s a failure and a step, imagine that perfectly designed tablet featuring a 2MP Rear camera and 2MP front camera. However, although Huawei Honor T1 7.0 has a low pixel I believe it still catches moment because nowadays i noticed the pixel of a phone camera is just n additional factor to the camera it doesn’t make or mar it. At times some phones come with little camera pixel but take a better picture than some heavily endowed pixel cameras. Huawei Honor T1 7.0 uses a new mid-range processor, it is powered by Spreadtrum SC7731G chipset and offers Quad-core 1.2 GHz CPU which helps produces an optimum performance with less power consumption and more which helps the device to work very fast. Huawei Honor T1 7.0 runs on the Android Android 4.4.2 (KitKat) which enhance a fast and user-friendly performance. Huawei Honor T1 7.0 comes with a 1GB RAM and packs 8GB of internal storage, which can be expanded up to 32GB through the use of microSD card, which is enough to save documents as well as download videos and music. Huawei Honor T1 7.0 4100 is powered by 4100 Li-ion Non- removable battery which will keep the user busy for at least 10 hours for watching videos and surfing the internet and thanks to the OS and processor the device does not drain the battery fast. Looking for where to buy Huawei Honor T1 7.0 in Nigeria? It is very simple and stress-free, to avoid buying the refurbished product, the best option and the smartest move is to order from an online shopping store. The best online shopping website to buy your Huawei Honor T1 7.0 is Kara.com.ng. where you can order your preferred series at the best selling price in Nigeria and also enjoy fast delivery to any location in Nigeria.